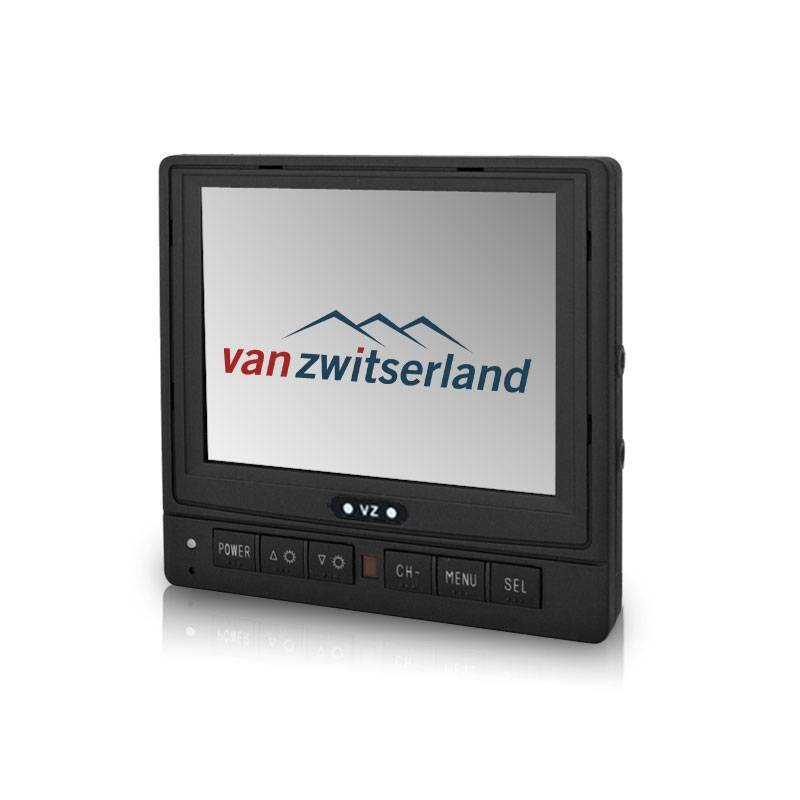 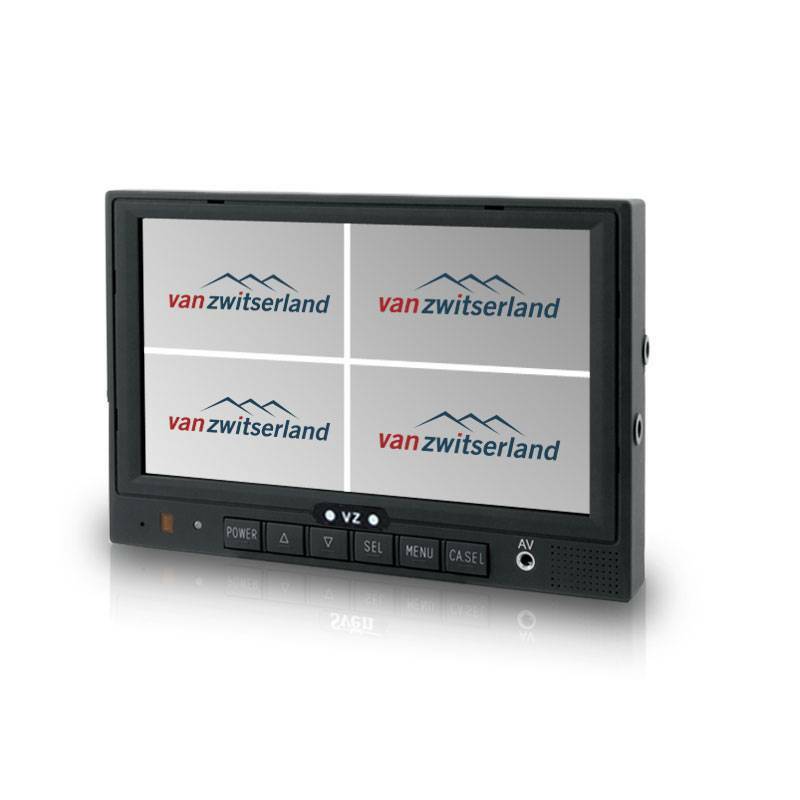 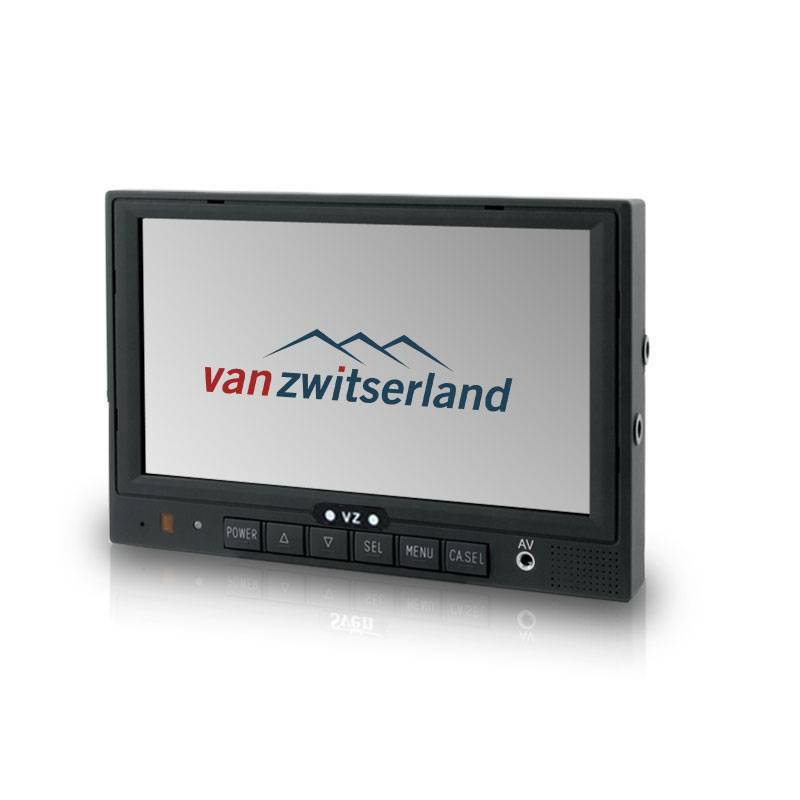 Van Zwitzerland has a wide range of quality monitors suitable for recreational / light commercial applications to heavy industrial applications where the highest (legal) requirements apply. 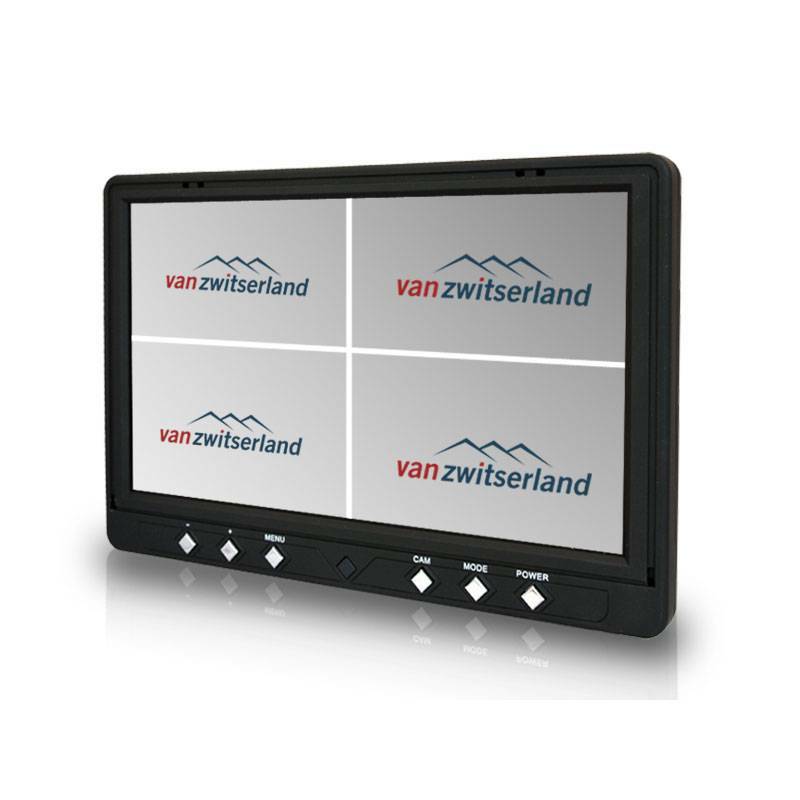 All monitors feature a powerful TFT display with LCD backlight and a rugged brackets allowing the monitor to be placed in almost any position. 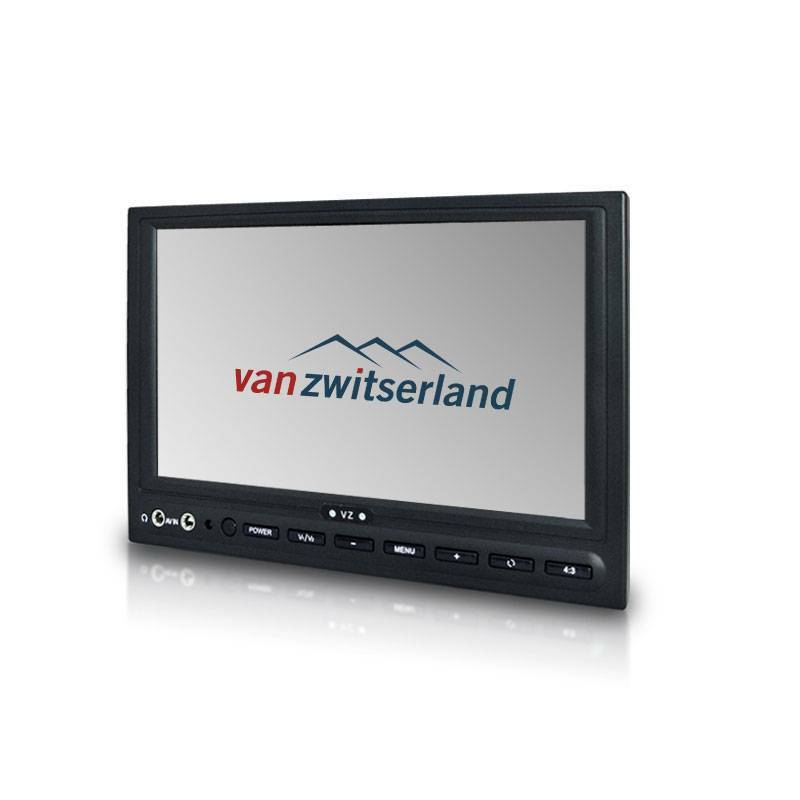 The color monitors are shockproof and vibration resistant and manufactured according to the globally recognized quality standards ISO9001: 2008 & ISO16949: 2009. 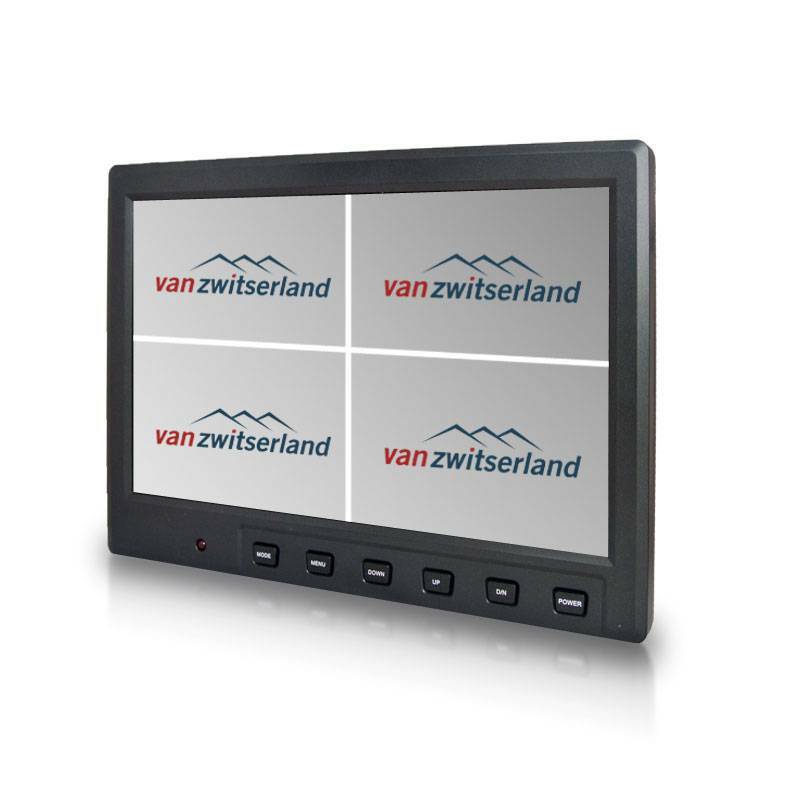 The monitors are available in different sizes, such as a 5″ monitor, 7″ monitor and 9 “monitor, and are available in different versions such as a Double DIN built-in monitor or mounted monitors which can be attached to the roof, dashboard or window.